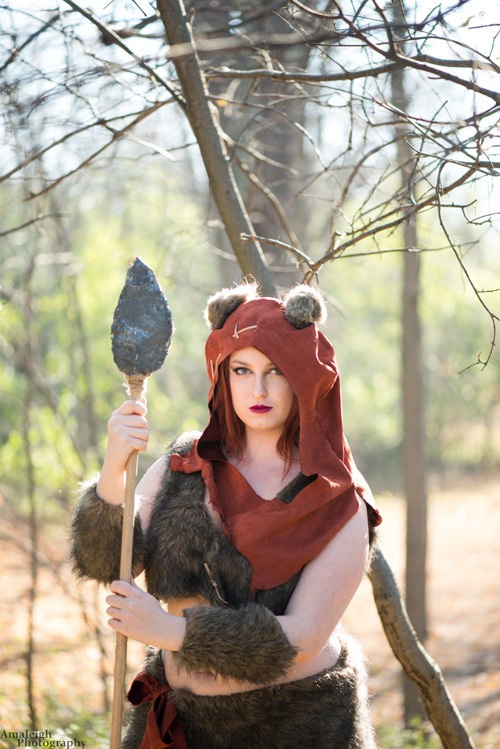 "As a kid I always loved the cute fuzzy little Ewoks, so for my first ever Star Wars cosplay I thought that why not make this into am awesome cosplay where I can let my creativity flow! I got out my pencil and paper and started to design my cosplay! as simple as it is, it was perfect and I would never change it! Then my cute little Ewok came to life!� During this shoot it was around -5 Celsius outside but it was such a fun shoot and I didn't care!"